Once I finished all of the preliminaries, I answered lots of questions about my business, innovation, and R&D habits. 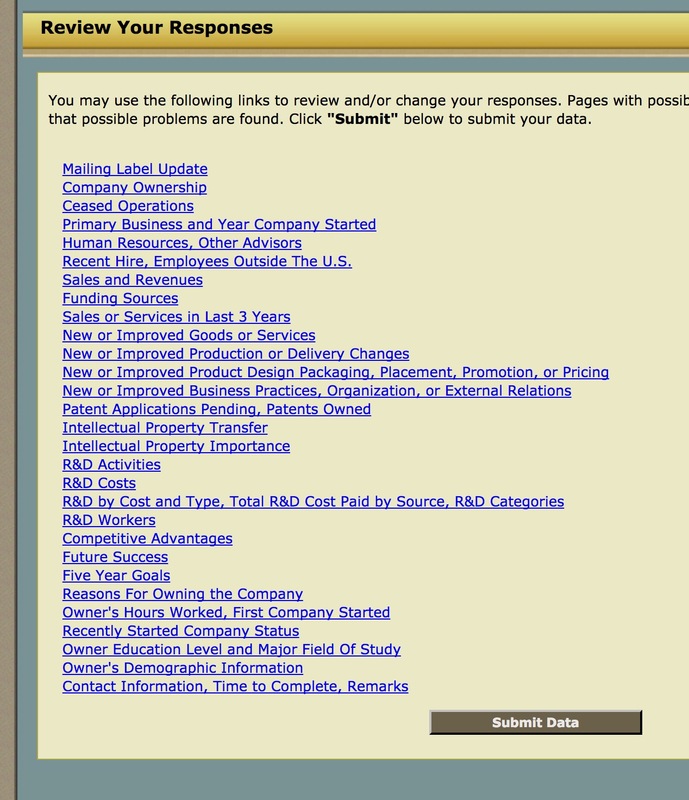 In total I spent maybe 20 minutes on this census exercise. Thank God that I won’t be breaking the law, and who knows, maybe our Federal Government has some need to know about what Tualatin Web is doing, besides paying my taxes and helping clients with their web sites. 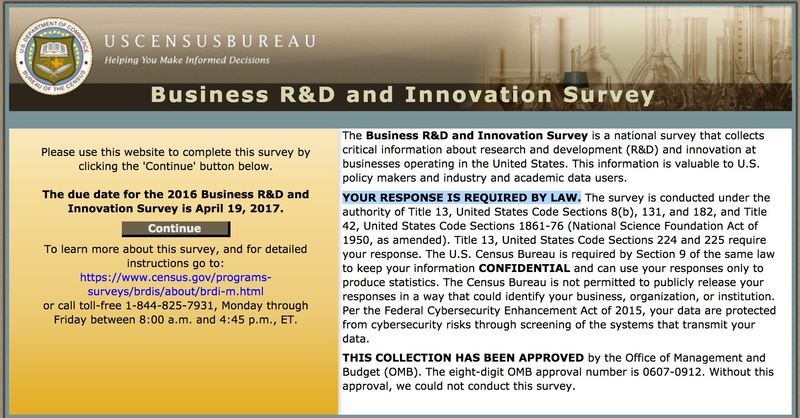 If you get the same mandatory survey, don’t fret, it will soon be over, and yes, you will lose some of your business work day to comply with the US Census Bureau.